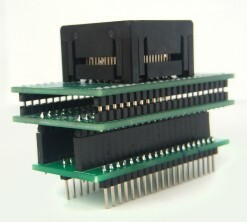 This adapter is designed for all Altera CPLD PLCC44 chips with JTAG interface working with GQ-4X programmer. 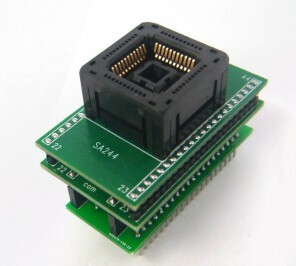 With this adapter, user is able to program the Alter PLCC44 CPLD chip on GQ-4X directly. The chip should have JTAG feature in order to work with GQ-4X JTAG inter face. 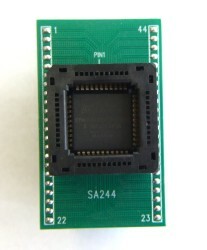 Following PLCC44 chips works with this adapter: EPM3032A,EPM3064A,EPM7032S,EPM7064S etc.